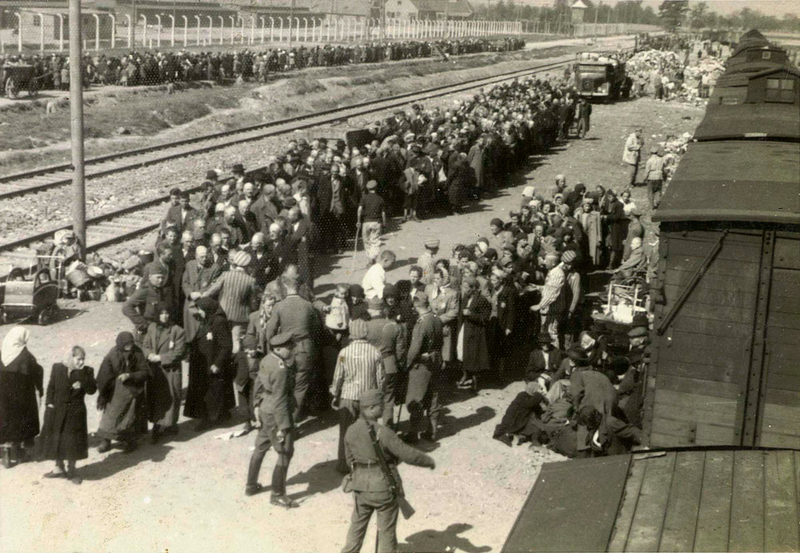 Arrival of a transport of prisoners from the Carpathians at the main ramp at Auschwitz. © Yad Vashem. 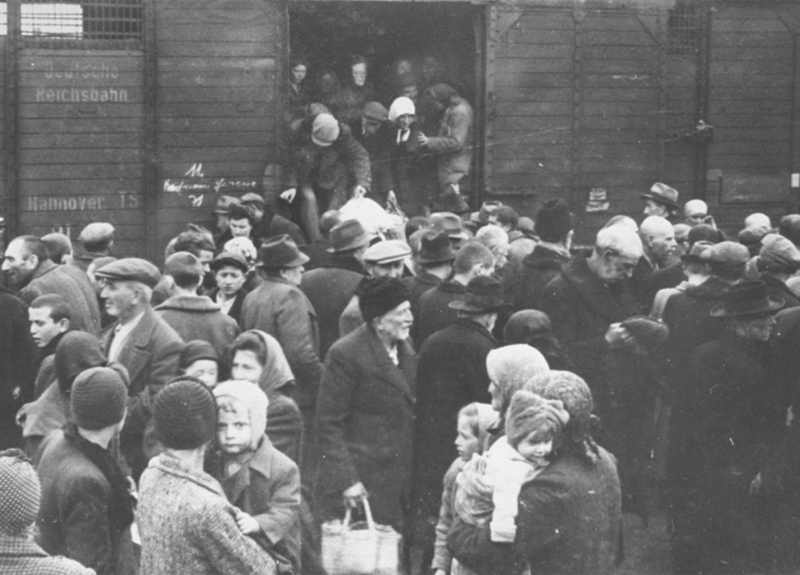 After all kind of humiliations and margination, expropriations and reclusion in ghettos in inhumane conditions, prisoners from all occupied Europe were transported in fully crammed freight cars, with no water nor food, to Auschwitz. After a journey that sometimes took days and killed many, they arrived at the long platform of the camp, known as die Rampe (The ramp). Images from The Auschwitz Album, a unique graphical evidence on the arrival and selection prior to the extermination perpetrated in the camp, found by Lilly Jakob. © Yad Vashem. 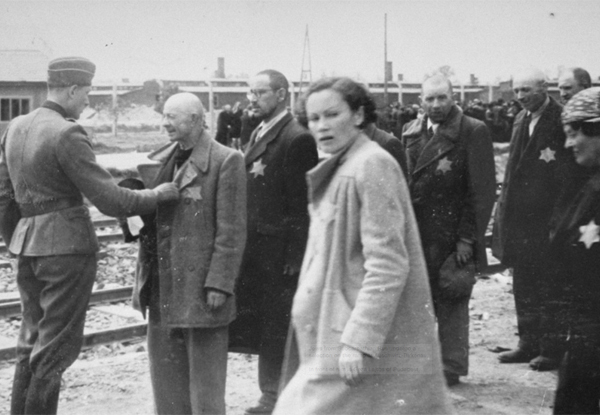 At the end of it were several SS doctors that in a few seconds decided the fate of the deportees and resolved who would become a slave and die from exhaustion, hunger or torture, who would serve as a ‘guinea pig’ in pseudo-scientific experiments and who would be killed straightaway (statistically 75-80 percent of the deported). The method was mechanical and very simple: the prisoners were asked about their age, their occupation and their health (which could hardly be good in those circumstances), and, depending on their answers, the SS men gave their verdict. If his thumb pointed to one side, the inmate was fit for work, but if it pointed to the other side, it meant immediate execution. Children and old people were automatically deemed unfit for forced labour and, therefore, sent directly to the gas chambers. The same was true for mothers with little babies and, as a general rule, for all the people considered weak or sickly. A group of female inmates selected for forced labour and shaven stand in formation before the women camp’s kitchen in May 1944. © Yad Vashem. While this macabre rite was going on, the victims had to give to the camp SS the few belongings they carried. Their baggage was piled on the platform to be subsequently sent to Germany and sold there. Still dazed from the long journey, urged on with blows and shouts and knowing nothing about their friends and relatives’ fate, those who passed selection would face, anyway, inhumane conditions that would lead to their death within weeks or months. 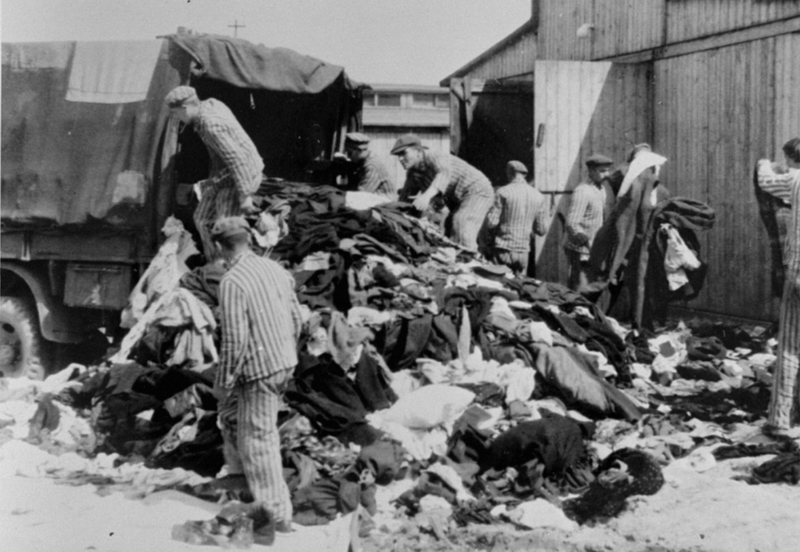 Prisoners of the Kommando Kanada sorting clothes taken from the newcomers to pack them and send them to the German Reich. Most of their owners would be dead within 24 hours after their arrival. © Yad Vashem. 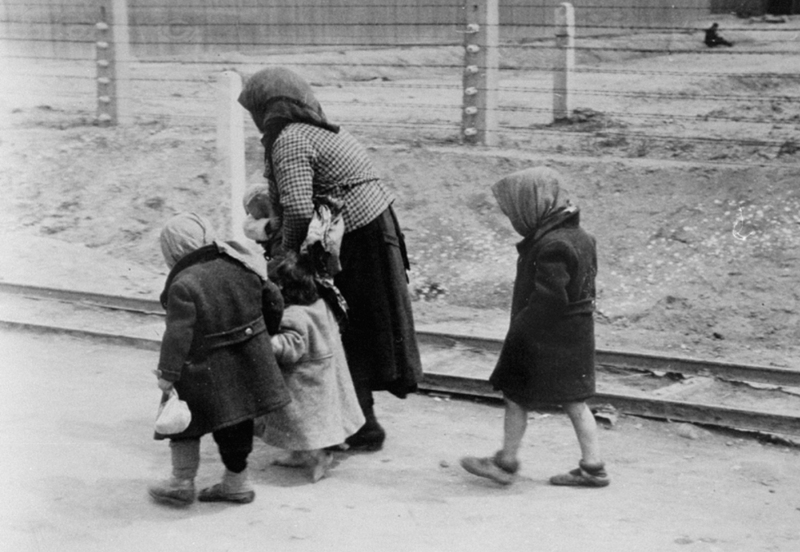 An old woman walks with some children towards the Auschwitz gas chambers. © Yad Vashem.